When it comes to estate planning terms, two that you'll need to be familiar with are per stirpes and per capita. These are Latin terms that are commonly used in last will and testaments and revocable living trusts to describe how your property is to be left to your beneficiaries. 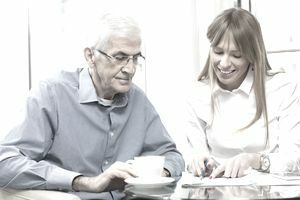 The term per stirpes means taking “by representation” or “by class.” In the estate planning context, this means that if the beneficiaries are to share in a distribution “per stirpes,” and then the living member in the class of beneficiaries who are closest in relationship to the person making the distribution will receive an equal share. However, if a member in the class of beneficiaries who are closest in relationship to the person making the distribution is deceased and survived by any descendants, then that deceased beneficiary’s descendants will take “by representation” what their deceased parent would have taken. You have three children: Ann, Bart, and Carl. Ann has two children: Drew and Eve. Bart, Carl, Drew, and Eve all have no descendants. Ann, Bart, and Carl will each receive a 1/3 share. Drew and Eve will receive nothing. Bart and Carl will each receive a 1/3 share. Drew and Eve will each receive a 1/6 share; they take by representation and in equal shares what Ann would have taken: 1/3 divided by 2 = 1/6 each. Ann and Carl will each receive a 1/2 share; a share won’t be created for Bart since he has predeceased you and wasn’t survived by any descendants. Eve will receive a 1/3 share; she takes by representation what Ann would have taken and there's no need to create a share for Drew since he has predeceased you and wasn’t survived by any descendants. Per stirpes is used in estate planning to cover all of the bases in the typical family situation so that you don't have to run to see your estate planning attorney each time a child or other beneficiary predeceases you. If you don't want this typical pattern as part of your estate plan, to begin with, you'll need to make your intentions very clear to your attorney. On the other hand, if a child or other beneficiary predeceases you and you no longer want this typical pattern to apply, then you'll have to change your plan. This is where annual estate planning updates come in handy. Contrast per stirpes with per capita, which means taking “by total headcount” or “by a total number of individuals.” In the estate planning context, this means that if the beneficiaries are to share in a distribution per capita, then all of the living members of the identified group will receive an equal share. However, if a member of the identified group is deceased, then a share won’t be created for the deceased member and all of the shares of the other members will be increased accordingly. Ann, Bart, Carl, Drew, and Eve will each receive a 1/5 share. Bart, Carl, Drew, and Eve will each receive a 1/4 share. Ann, Carl, Drew, and Eve will each receive a 1/4 share. Bart, Carl, and Eve will each receive a 1/3 share. Per stirpes is used more commonly in estate planning than "per capita" because it covers the typical family situation. If you prefer to use a per capita distribution, you’ll need to make sure that your estate plan addresses any generation-skipping shares that may be created by this type of distribution.